Bonita Bay in Bonita Springs is one of the most desirable luxury locations in Southwest Florida. The Bonita Bay community is home to 57 neighborhoods and communities that offer prime luxury real estate in the form of single-family estates, villas, waterfront properties and high-rise condos. The real estate options in Bonita Bay are highly sought after and when a property is listed for sale, which is rare, it goes quickly. Bonita Bay real estate sells itself! The wonderful resort lifestyle is characterized by luscious landscaping, manicured golf courses, private boat docks with access to the Gulf of Mexico, breathtaking views of natural preserves, amenities that rival those of five-star hotels and so much more. Although Bonita Bay real estate may be easier to sell due to the high demand, there are still some things to consider and to take care of when selling real estate in Bonita Bay. Making the decision to buy or sell a home is not easy to make. Buying a home is one of the biggest financial decisions you will ever have to make and making the decision to sell a home you have lived in and made memories in is just as difficult. Before putting your Bonita Bay home on the market for sale make sure that you really want to sell. Working with a qualified and experienced Bonita Bay realtor will help make selling your home a smooth and easy experience. A real estate agent is trained to keep up to date with real estate news and market trends so they can give you professional advice about your home and its value. Realtors are also trained in things like staging, negotiating and real estate law so they can make sure you are getting the best deal and that you are reaching your real estate goals in an efficient manner. There is nothing worse than overpricing your home or listing it at a price that’s too low. Ask your realtor for a comparative market analysis, which will show you what homes similar to yours in the neighborhood have been selling for. Also make sure to keep up with market trends, which will also act as guidelines for how you price your home. A home that is overpriced tends to sit on the market for a long time and there is nothing less attractive than a home that has been sitting on the market for five months. In today’s day and age everyone rushes to the internet for information. Interested homebuyers browse through MLS listings online and decide what properties they want to see based on pictures and property descriptions. That’s why it is extremely important for you to discuss internet marketing strategies with your agent. Social media exposure and professional photography are some basic requirements in the new age. You should also discuss brochures and creative open house events as well. Work with an inspector who can identify problems or potential problems with your property. If you have pipes that need fixing, windows that need replacing or any other major issues make sure to take care of them before you put your home on the market. Staging is an art that all real estate agents have mastered. Discuss staging strategies such as lighting, flowers and candles. There is nothing more comforting than a pleasant smelling and well lit home with fresh flowers in every room. Consider adding some upgrades to the home before you sell it to make it more appealing. Most Bonita Bay homes already have private swimming pools, but if yours does not consider adding one before you sell. Also think about adding incentives such as leaving behind a pretty chandelier, kitchen appliances or furniture and include them in the price of the home. The outside of your home is the first thing a buyer will see. Make sure your lawn is manicured and under control. If your home needs some fresh paint or clean windows make sure to take care of it before an open house or any showings. Believe it or not, your real estate agent is there to help you and assist you throughout the sales process. Make sure to keep in touch with your realtor and insist on weekly, if not daily, updates on the status of your home, buyer interest and anything else that you deem important. Hiding any issues from your buyer will only get you in trouble. Create a comprehensive file with energy audits, inspection reports and anything else the buyer may be interested in. 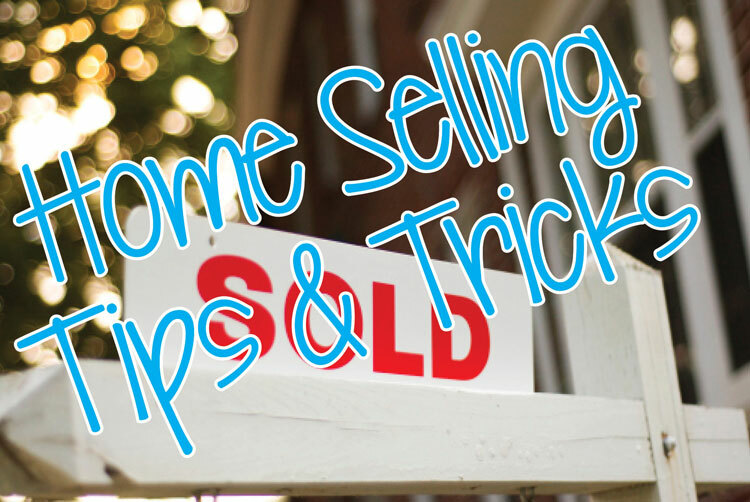 Being honest will help speed up the sale. Ready to Sell Your Bonita Bay Home or Condo? Selling and buying real estate can be a frustrating experience, but with help of a professional realtor and some prep work you will easily fly through the process unscathed. If you have any questions about selling real estate in Bonita Bay make sure to contact Dan Humbert and Alberto Quiceno. Dan and Alberto can give you a complete home evaluation and help you sell your home in a timely and efficient manner, as well as assist you in finding a new home.